''Spring Cleaning''is the practice of thoroughly cleaning a house in the springtime. In many cultures, annual cleaning occurs at the end of the year, which may be in spring or winter, depending on the calendar. It is can be a very hard task since clean every corner of your house may take a lot of time and energy. 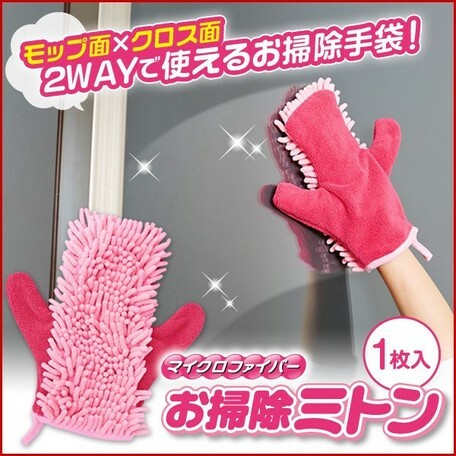 But the Japanese housewives are very lucky since there are so many well-designed cleaning products can help them to make the house cleaning easier. Despite we use and clean our kitchen every day, however, stainless steel, oil stain can present some tough cleaning challenges. By Aimedia . This vendor specializes in support your daily life with creative consumer household products. 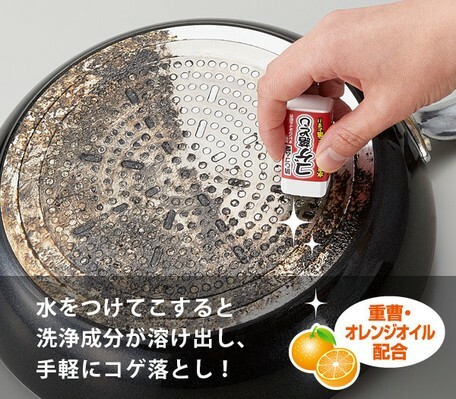 Like this item, after you put some water and rubbing like an eraser, the cleaning ingredient will be dissolved out, and you can easily remove the burnt deposit. It is like an eraser can help you hold it easily and dropping burnt deposit part of cooking utensils such as IH cooking heaters and gas stovetops, pots and kettles. 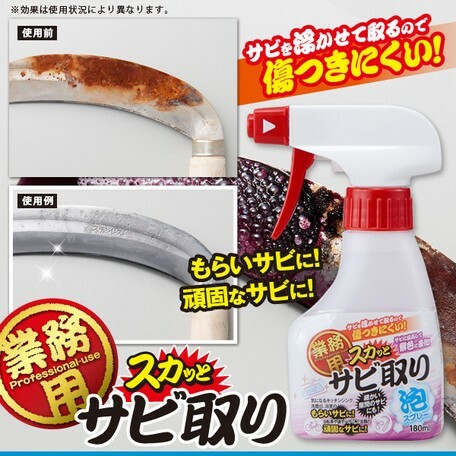 This item, not on in the kitchen sink, washbasin, rust catchy in the bathroom, you can use this spray to remove the stubborn rust part of bicycles, sickles, scissors, etc. Beside the burnt deposit, the other annoying part is oil stains. By the vendor FINE. The item can help you remove the stubborn oil stains easily only by dropped some water. Hope to have a shining kitchen, this item is essential. If you wish to keep your bathroom clean, doing small and simple daily cleaning is the best strategy even it may take you lots of time to do so. But if you leave this tough work at the end of the year's "Spring Cleaning", this task may become impossible. To save your time, you may need these tools to help you. 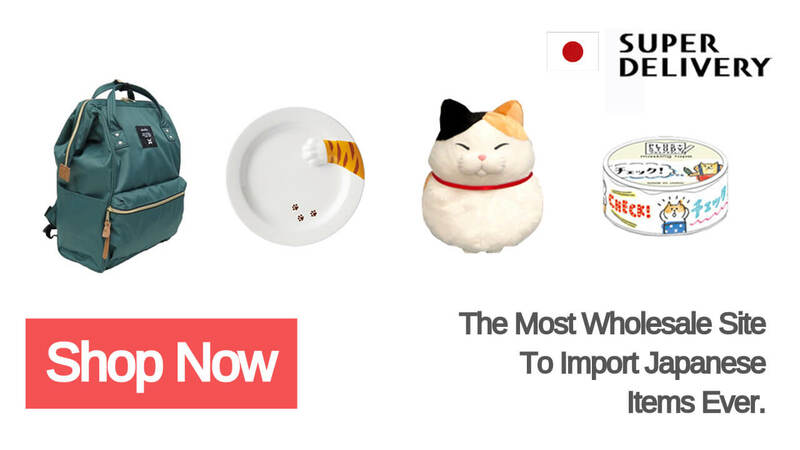 This item comes from the vendor AIMEDIA. 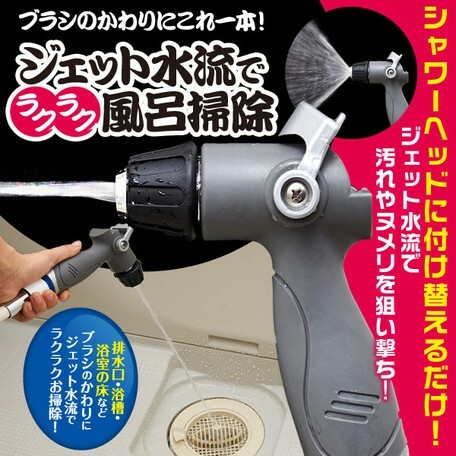 It can help you to clean the dirt slime and hair clumps around drainage port by the jet stream of water easily! The second item comes from the vendor YAGIHASHI. 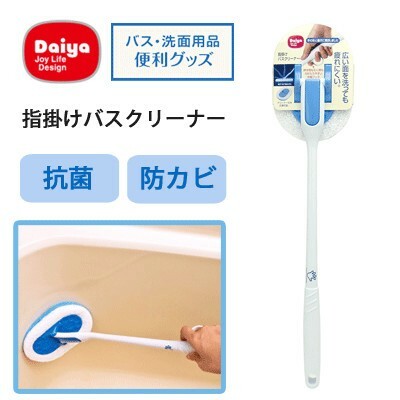 Not only a type that is difficult to scratch the bathtub but also the spearhead cleaner part can move 180-degree to make sure every corner to be washed. The ashes and dust can be everywhere in your house, they are can be very harmful to your health, and you it may very difficult for you to find them. Our window, air conditioner, the gap of our furniture, it is getting dirty easily, if you really wish to make your every corner of the house tidy and clean, it indeed needs a lot of tools. The first item also comes from the vendor New Japan Functional Foods. 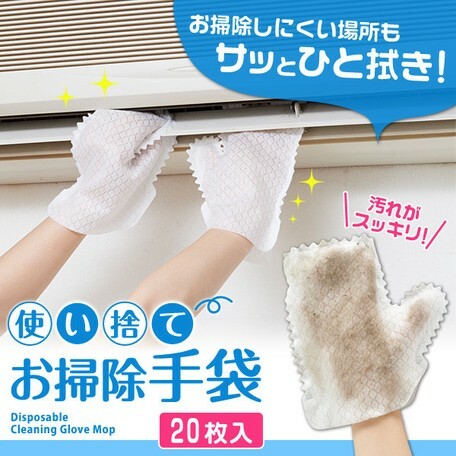 You can easily clean with your both hands by the mittens type of cleaning mop, perfect for cleaning veranda, windows/screen doors, household electric appliances, shoe polishing, cars, and bicycles, etc. The second item comes from the vendor AIMEDIA, helps you to do the cleaning which is very difficult to reach such as air conditioning outlet and sash grooves, blinds, lighting, etc. No matter how hard you are trying to do the "Spring Clean", there always some places that you cannot reach. No matter how hard you are trying to do the "Spring Clean", there always some places that you cannot reach such as drain pipe. These products can help you remove the dirt and chocking faster and easier. Only you need to do is just drop tablets into the drainpipe to get it working. These 2 products come from SHOEI KOUGYO. 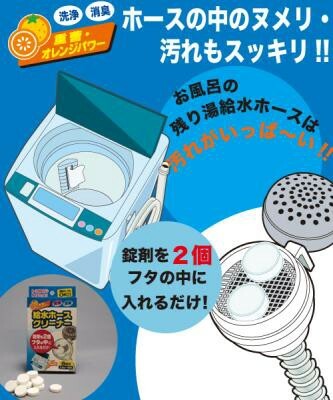 The above two cleaning tablets can help you effectively clean the washing machine sink and the kitchen drain pipe. These are places that are usually not cleaned frequently and are prone to bacteria. With these cleaning tablets, you can save the cleaning time and enjoy your holidays better. How often are you cleaning your electronic products? We often neglect to clean it when we do the cleaning, but they actually can be very dirty. By MARNA. This product can help you remove and clean monitor dust of the keyboard by taking the cleaning part outside the cup. 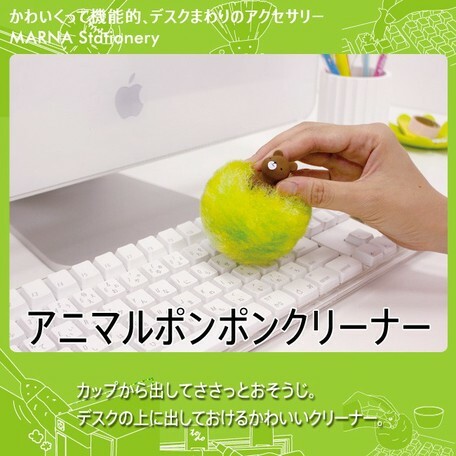 It has a cute design cleaner ball that can be left on the desk as a decoration in your room or your office. To do the big house cleaning, you may need lots of tools. To do the big house cleaning, you may need lots of tools such as sponges and brushes. Not only can save your time, but also the antibacterial function made these products are always ranking at the top-selling list. We will introduce some of the most popular ones on our website, come here and get the details. 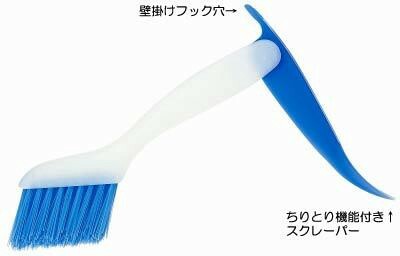 The product comes from the vendor YAGIHASHI. It is like a cleaning cloth, you can clean the coffee or juice stains only to put some water on it. 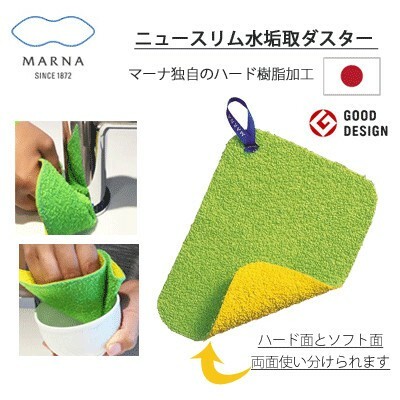 This cloth type sponge can be used to clean the bathroom sink, water pipe surface which is easily get injured places and make them looks brighter. 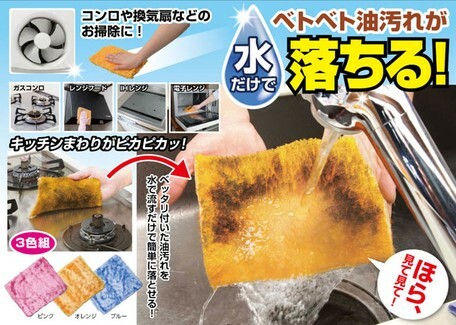 Japan has so many amazing daily cleaning products. From the cleanliness of kitchen hoods, walls, stoves, sinks, to bathroom wash basins, there are so many firmly adhered stains in your house. But don’t worry, The Japanese housewives’ essential cleaning products will solve your problems. 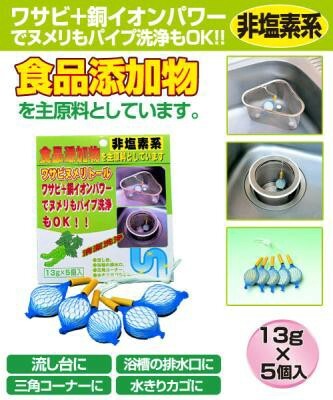 Here are our Must-Have Japanese Cleaning Products that you should have in your home. 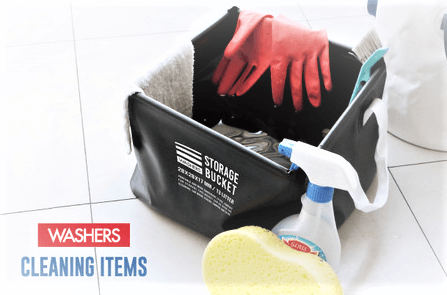 let's purchase these products and get ready for the 2019's "Spring Cleaning".